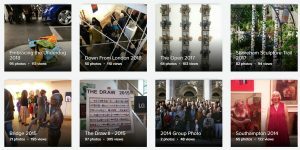 The London Group held its 82nd Open in 2015 with cash and material prizes worth over £5,000. 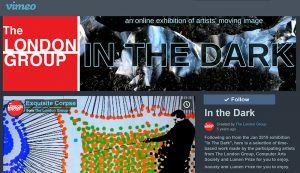 Submission was made online for the first time and hundreds of artists applied and 71 got to exhibit their work alongside the Group’s members. Works were shown in all mediums including painting, sculpture, drawing, print, photography, digital, mixed media and video. The work was shown over two exhibitions at the bright and cheery Cello Factory in October and November 2015. 70 members were shown in the 2015 Open, and 71 non-members. There are over £5000 in prizes and materials up for grabs including a three person show at the Cello Factory which was won by Cadi Froehlich, Martin Heron and Darren Nisbett all of whom have since gone on to join the group as full members. Here are the members and non members in the show.